It’s surprisingly easy to get your Facebook Events to appear in your iPhone Calendar, and much the same method works for other iCAL compatible applications such as Microsoft Outlook. 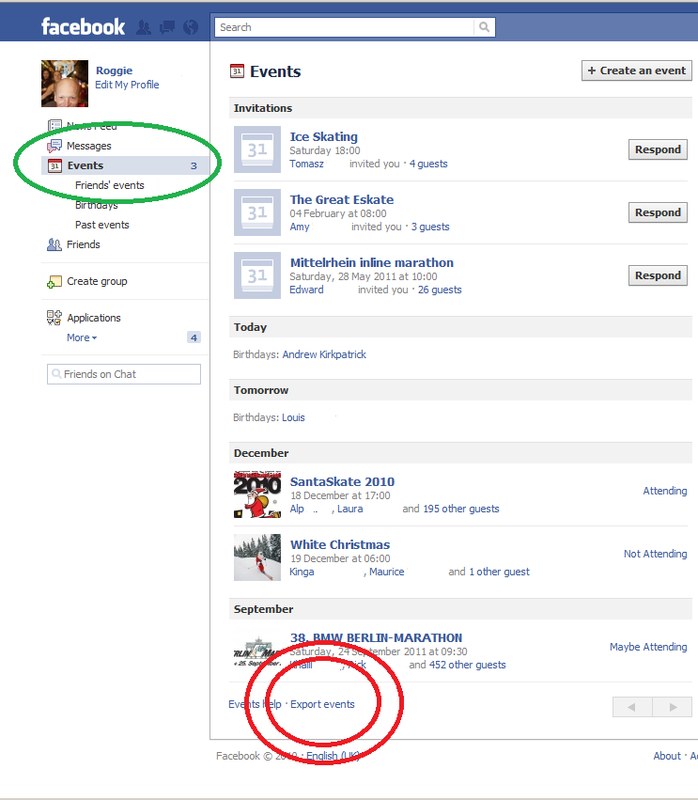 Go to the bottom of your Events list and click on “Export Events” (Red Circles). Select the complete iCAL link with your mouse (Step 2: Blue Circle), and use your web browser’s Edit menu to copy it to your clipboard. Use the email software on your computer to send the iCAL link to a mail account that is setup on your iPhone. Go to your Mail app on the iPhone and copy the iCAL link to the iPhone’s clipboard. Go the the iPhone Settings app. Scroll down to “Mail, Contacts, Calendars”. Click on “Add Subscribed Calendar”. Paste the iCAL link into the “Server” address box. This article was published on Thursday, November 11th, 2010 at 4:53 pm. You can follow any responses to this article through the RSS 2.0 feed.